SECONDARY TEACHERS ARE to strike next month, as a row over proposed Junior Cycle reforms escalates. A spokesperson for the TUI confirmed its members, along with those of the ASTI, intend to strike on Tuesday 2 December. A second day of action is also planned for January, with a date yet to be confirmed. 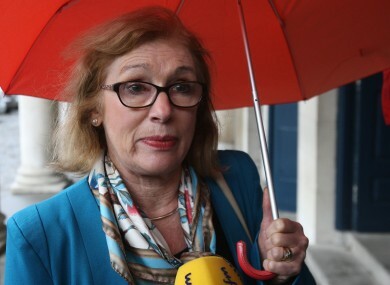 Education Minister Jan O’Sullivan has branded the decision “disappointing and disproportionate”. Union representatives met today to discuss their next move, after talks with the Department of Education broke down earlier this week. Earlier this week, teachers rejected a set of revised proposals from Education Minister Jan O’Sullivan, saying the proposed ‘internal assessment’ model would not be workable. Both unions have already balloted members on industrial action. “The unions welcomed the shift in position by the Department of Education and Skills on some issues in recent negotiations, but issues of critical importance were not resolved,” a joint statement from the TUI and ASTI said. The threat posed to educational standards by the introduction of internal assessment remains and the issue of the capacity of schools to cope with the magnitude of such change was not addressed by the Department. “On Tuesday, the unions called for direct Ministerial intervention that would allow resumption of the discussions, particularly in relation to matters such as capacity of schools. Regrettably, this has not taken place, and the executive bodies of both unions decided to represent the overwhelming views of teachers and use their mandate to take strike action. Under the Department of Education’s plan, teachers would still assess 40 per cent of a student’s work in awarding a grade. Speaking in Tuesday evening, Minister O’Sullivan warned no more concessions would be given. “We’ve put our cards very firmly on the table,” she said, stressing that the measure put to the two unions had been drawn up “based on the consultation with parents, students and teachers”. Final exams in third year accounting for 60 per cent of junior cycle marks. The exams would be set and marked by the State Exams Commission. A State certificate to issue to every student on completion of the junior cycle. 40 per cent of junior cycle marks would be awarded for project or portfolio work during 2ndand 3rd year. This 40 per cent would be assessed by classroom teachers. The State Exams Commission would check a proportion of these marks to ensure consistency and fairness. Reacting to the strike decision this evening, the Minister said in a statement that the unions’ move was “deeply regrettable” and said the action would “disrupt schools and cause serious inconvenience for students and their families”. “Over recent months I have accepted the genuine concerns that many teachers had about the future of the junior cycle. “In putting a new offer on the table this week I have gone as far as I can to address those concerns while still maintaining the integrity of junior cycle reform. “This new offer has the capacity to break the impasse and enable us to move forward and introduce a reformed junior cycle that is in the interests of students. “Unfortunately, both unions have decided not to engage and will now embark on unnecessary and disproportionate strike action. “I wrote to both unions before their meeting today saying that I am willing to engage further at any stage on the basis of the new offer. The National Association of Principals and Deputy Principals has expressed its disappointment at the move, and asked both unions to look again at “how a resolution to this impasse can be achieved”. Email “Secondary teachers are going on strike in December”. Feedback on “Secondary teachers are going on strike in December”.